Very, very big Richie Rich track. For a long time he was the only person in Melbourne (and probably one of the few in the country) with a copy, and he wasn't telling anyone what it was. Melbourne was very competitive for DJs - like everywhere else I suppose - but there was also a strong desire to have exclusive tunes to generate an individual identity. To be a successful DJ required not just playing good tunes, but playing good tunes that no one else had. And this wasn't as easy as it might seem. Back in the early 90s, the city (with a population of 3 million) only had one or two dance music record shops - no I'm not kidding - so it required some skill and dedication to get hold of different music to everyone else. It was not uncommon for guys to stay up into the middle of the night so they could ring London or New York and have tunes played down the phone to them; then anxiously wait 6 weeks or so before receiving a bundle in the mail. It was expensive and didn't have a high degree of success. Quite often you only liked one or two tunes out of twenty - meaning each track had cost you maybe a couple of hundred dollars. So once someone found a gem, the cover would be substituted for something plain or misleading and the inner label obscured or covered over. Pretty soon not even the owner knew what the record was called. Not sure how he did it, but Richie consistently found real corkers like this - high energy European rave that wasn't full of silly hoover or farting sounds. It's actually by two English lads, but more about them in a later post. Richie played the Apocalypso Mix with its big building intro of horns and a tuff call of "yeaaaahhh", but both mixes have qualities. They're also appropriately full on and manic - near the ends of each mix the sequencing of sounds gets quite fucked up. All in the name of mayhem I suppose. 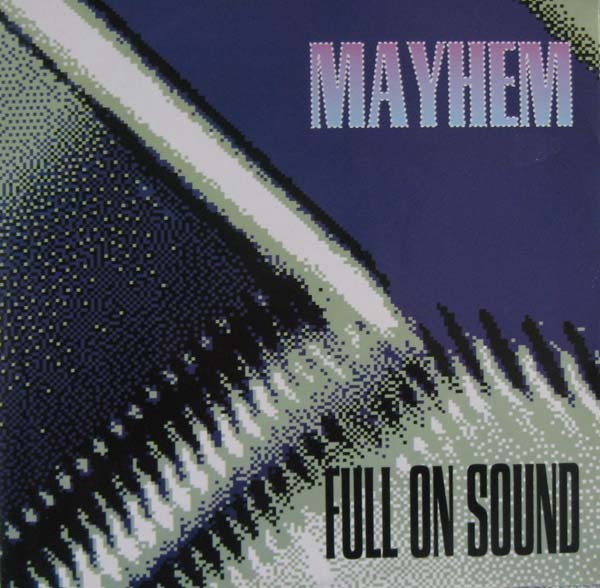 Do you know where does the sample loop (starting at 0:00) in Mayhem (Doin' The Apocalypso) comes from?